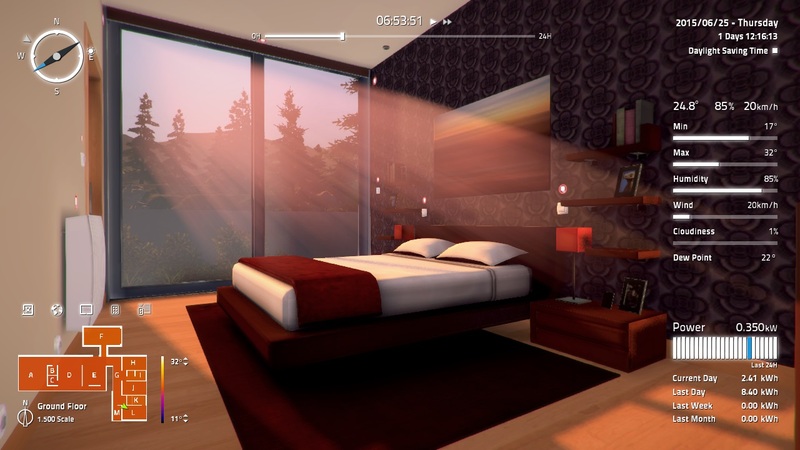 HOME I/O is an interactive simulation of a smart house and surrounding environment. It was designed to cover a wide range of curriculum targets within Science, Technology, Engineering and Math (STEM). With HOME I/O, students will learn about home automation, thermal behavior, energy consumption efficiency and many other subjects that are part of everyday life. The main goal of HOME I/O is to introduce home automation concepts using a smart interactive house. Equipped with the most common automation devices, HOME I/O challenges students to design control solutions and understand the impact of its implementation. © 2006-2017 Real Games All rights reserved.